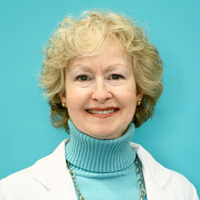 Dr. Joanie most recently worked at the prestigious St. Joseph’s/Candler Hospital, Center for WellBeing in Savannah, GA. Before that Joanie was in private practice in Sarasota, FL, where she graduated from the East West College of Natural Medicine. 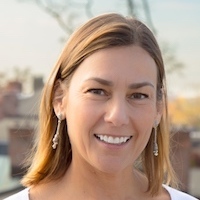 She has worked in both Eastern and Western medicine for more than 20 years, as a medical writer for CBS/Medscape (now WebMD), editorial director at the former Lifetime Medical Television, and as a Yoga therapist and instructor. She is also trained in Cranio Sacral Therapy, Body Talk Access, and acupuncture for facial rejuvenation. She is Board Treasurer of the Acupuncture Society of Virginia 2012-14. Learn more about Joanie by visiting her website here. 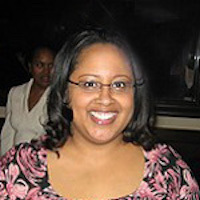 Crystal Craighead is a 2002 graduate of the nationally recognized Potomac Massage Training Institute in Washington, DC. As a Certified (licensed) Massage Therapist, Crystal promotes the delivery of the “client centered” approach to her bodywork and she is recognized for her abilities to work with sensitivity, compassion, and skill. Ms. Craighead is trained in the therapeutic benefits of Swedish Relaxation, Deep Tissue Therapeutic, Pre-Natal/Post Partum and Couples Instructional massages. These modalities can support your well-being by alleviating discomfort, improving range of motion and flexibility, relaxing tired, achy and overworked muscles as well as encouraging the release of endorphins – your body’s natural pain-killer. 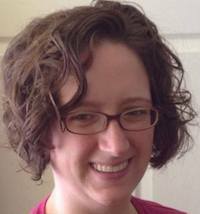 Crystal is also a 2012 graduate of the Infant Massage USA program for Certified Infant Massage Instructors. Infant Massage USA’s curriculum was created and is endorsed by founder Vimala McClure. The advantages of Infant Massage include: promoting sensory awareness, regulating sleep patterns as well as nurturing the bonding and attachment between infant and parent. Infant Massage has been shared with babies, parents and educators for almost 40 years in over 50 countries around the world. Please see the our Classes page for upcoming class dates. Joy recently joined the Back to Health Center family as a Licensed and Certified Massage Therapist. She received her bodywork training in Virginia Beach, VA and has been practicing massage professionally for over six years. While she has received training in various modalities, Joy specializes in deep tissue therapy. She takes great pride in giving clients a therapeutic massage that fits their needs and comfort level. “As a certified massage therapist since 2006, I have had a career that has been both challenging and greatly rewarding. I’ve had the opportunity to work with patients and clients with everything from surgical rehabilitation to diagnosed neurological diseases, fibromyalgia, pregnancy massage, cancer, migraines, and TMJ. I have a strong working knowledge of trigger point, Swedish and deep tissue modalities, along with PSIS and active release stretching. Clients I’ve worked with have reported great results and a benefit to their personal healing journey. Matthew DeBouse is a Certified Massage Therapist with the NCBTMB (The National Certification Board for Therapeutic Massage & Bodywork) and is also registered with the Board of Nursing. Over the years, he developed a great passion and fascination for massage—so many different and amazing ways that it benefits overall health. Born in Yuma, AZ, Matthew was then raised in Mannheim, Germany Military Army Base and neighboring towns. He is a very enthusiastic Massage Therapist, with various specializations in Sports Massage, Swedish Massage, Deep Tissue Therapy, Hot Stone, Total Body Stretch, Prenatal, Aromatherapy, and also Trigger Point Therapy. Inspired by the benefits of massage with all its therapeutic values, this knowledge encouraged him to educate others and guide them through muscle recovery, relaxation, wellness, and maintenance. Adapting the therapy to what will suit your specific needs, Matthew’s strong belief in massage his willingness to communicate with clients so they can receive maximum benefit to guide them on a path to a healthier way of life. Susannah attended the University or Rochester where she obtained a degree in Biology and spent much of her time studying women studies and reproductive issues. After having her first son, she became driven to learn to support families through the difficult first weeks and month after their baby arrives. When she became pregnant with her second son, she learned about postpartum doulas and realized this was her true calling. She began to study and certify through DONA International. In addition, she recently became a certified Mother Roaster through the Sacred Postpartum and Sacred Living movements. Through these two programs, Susannah provides support to ensure that everyone is well fed, rested and supported as they enter this time as new parents thereby removing some of the burden from your family. This allows new parents to focus on the important task of bonding with your new baby. In addition, Susannah teaches classes for expectant parents including breastfeeding and pumping basics, baby care basics, postpartum planing, and a combined comprehensive one day class. More information can be found on the Oasis Family Services website. Monique is a 200-hour, KRI-Certified Instructor and gong practitioner offering both Kundalini Yoga classes and gong sound healing. She studied Kundalini under students of Yogi Bhajan and gong therapy under Mehtab Benton, originator and author of Gong Yoga. Her heart-centered style is grounded in the meaning of spirtitual name – Chandra, “the one who glows with the moon’s reflection of God’s love and beauty”. Committed to her role as a teacher, she is currently working towards her 300-hour Kundalini Yoga teacher certification. She also holds a Reiki Level 2 Certification and integrates this knowledge into her teaching. Focusing on the needs of her students and clients, Monique provides an inviting and supportive atmosphere to her classes and private sessions. More information can be found on her website. Give our team a call to get started with your care!